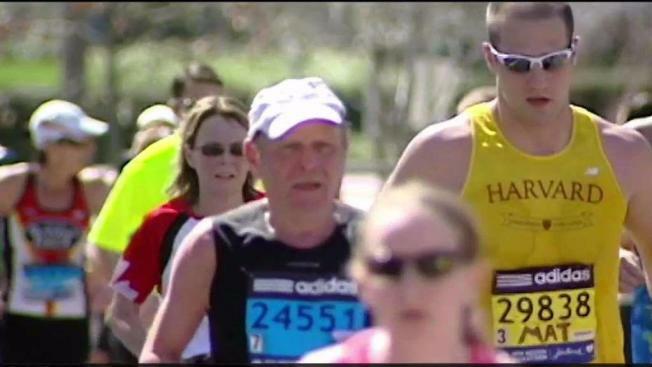 Tuesday morning public safety officials and representatives from the Boston Athletic Association, which organizes the race, discussed safety measures being put in place for the 122nd running of the marathon on April 16. About 5,000 uniformed and undercover police officers, drones, bomb-sniffing dogs and trucks blocking some streets are just some of the security measures being used to protect runners and spectators at the Boston Marathon. Federal and state law enforcement officials said Tuesday that there is no known credible threat to this year's marathon on April 16, which comes five years after two bombs planted near the finish line killed three spectators and wounded more than 260 others. But they said the public should stay vigilant and guarded. The security coordination involves eight cities and towns, as well as 7,500 to 8,000 public safety personnel that will include almost 5,000 uniformed and plainclothes law enforcement officers and the National Guard. Law enforcement will fly three tethered drones traveling at 400 feet above the marathon course. 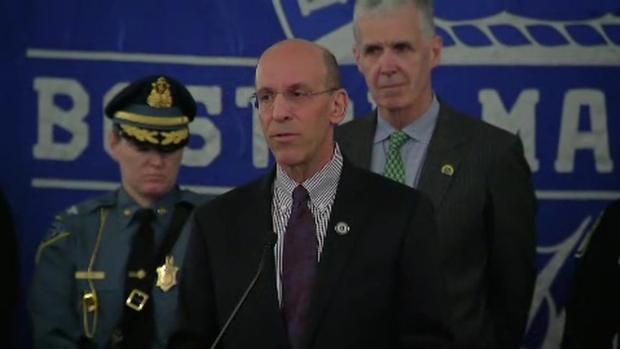 Massachusetts Emergency Management Agency Director Kurt Schwartz, says the Boston Marathon security plan reflects lessons learned from previous Boston Marathons, as well as national and international events. Massachusetts Emergency Management Agency Director Kurt Schwartz said the security plan reflects lessons learned from previous Boston Marathons, as well as the Las Vegas shooting and attacks in Europe carried out by people driving vehicles. MEMA will host a uniformed command center which will be staffed by 250 people to ensure public safety and that there are plans in place in the event of a problem. Schwartz says the objective is to keep the Boston Marathon a family-friendly event. "We do everything we can do to encourage people of all ages to come out on marathon day along the 26 miles to view the race, cheer the runners, and celebrate Patriots Day," Schwartz said. Schwartz asked the public to be vigilant during the marathon, encouraging them to contact law enforcement if they see something suspicious. Do not bring backpacks, coolers, or over-the-shoulder bags. Do not bring glass bottles or containers that hold more than one liter of liquid. Do not bring sticks, poles, props that could be used as a weapon. Do carry your possessions in clear plastic bags. Do not fly drones over the race course or spectator area. Public safety officials and representatives from the Boston Athletic Association, which organizes the race, are scheduled Tuesday morning to discuss safety measures being put in place for the 122nd running of the marathon on April 16. The Office of Public Safety and Security Secretary Dan Bennett, lauded the coordination of federal, local, and state in planning for the public safety. "The familiarity between everybody up here is just unbelievable how they work together," Bennett said. "Friendships are there, they know what each other's moves are before the event even takes place." 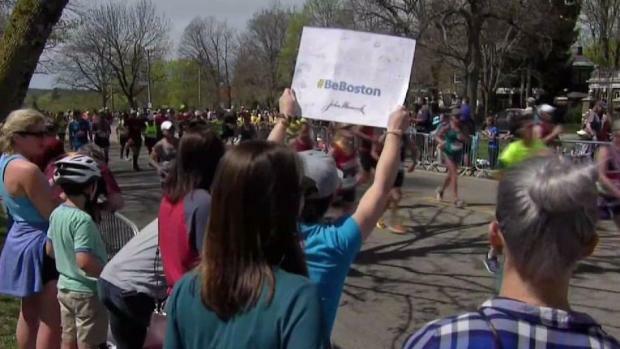 Security has been tightened along the 26.2-mile course since 2013, when bombs planted near the finish line killed three spectators and wounded more than 260 others. In recent years, authorities have used surveillance drones, bomb-sniffing dogs and aircraft equipped with technology to detect a radiological "dirty" bomb.